Hello. I am a fawn; or in other words, a baby deer. I am usually born in the summer and have a red coat and white spots. However, as I grow older, I lose my spots and I get a winter coat. Did you know that I can outrun a human when I am only a few days old? 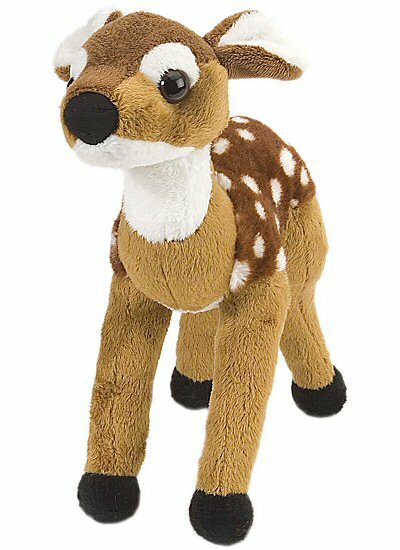 A portion of the proceeds from the sale of this adorable Mini Cuddlekins stuffed fawn deer helps to provide housing and education for disadvantaged children, as well as protection for abandoned animals throughout the world. This sweet plush elk is cute and cuddly with its soft brown and tan fur, black hooves, and stately tan antlers.